PHOENIX – Phoenix Rising Football Club announced on Monday an international search for a new head coach. The news was a result of current Head Coach and President of Soccer Operations, Frank Yallop, resigning from his position to rejoin his family in northern California. 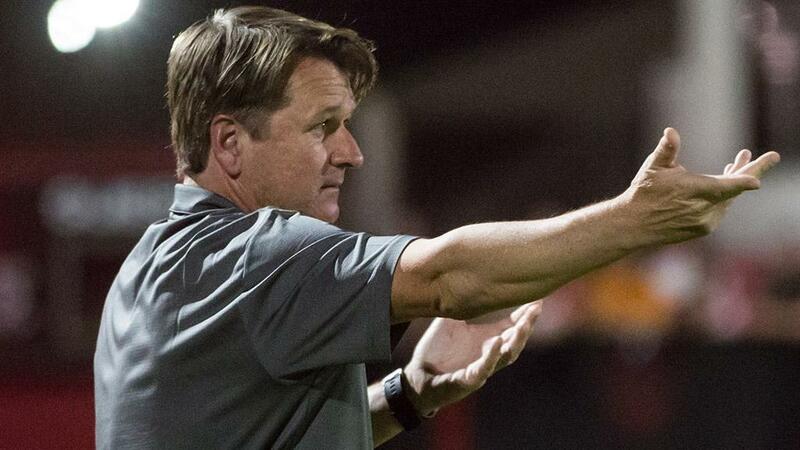 Yallop will aid Phoenix Rising FC as a consulting member of its international search committee focused on finding the best new head coach to help continue the team’s early success and build soccer operations for likely expansion into MLS. Yallop - a highly celebrated professional soccer coach who managed the Canadian Men’s National team, was MLS “Coach of the Year” and a “Supporters Shield” winner, led the San Jose Earthquakes to two MLS titles and brought David Beckham to the LA Galaxy as its head coach – commuted to Phoenix for the past 18 months to assist Phoenix Rising FC with development of its soccer operations and MLS Expansion Franchise bid. Yallop is transitioning coaching responsibilities to Assistant Coach, Rick Schantz, who will lead the team on an interim basis with the assistance of the additional coaching staff. Schantz is a highly respected member of Arizona’s soccer community having served as Head Coach of FC Tucson and has been a key leader of the state’s youth soccer development program in southern Arizona. Phoenix Rising FC is off to a strong start for the 2017 season having won its last two matches in a row topping LA Galaxy II and Swope Park Rangers.